For photos click here….and here. Our next adventure was to head north out of Tokyo and to explore the northern part of the large Honshu Island, the main island of Japan. We were planning to spend a little over a week on this trip but we ended up falling in love with the north, we jumped on the ferry to the northernmost island of Hokkaido and when we finally returned to Tokyo we had spent two and a half weeks in a different kind of Japan. First we had a bit of a shock. Maybe we were naive and ignorant. It was a little over 2 years since the Great East Japan Earthquake, which sent an enormous and devastating tsunami onto the coast of northwestern Japan. We knew that villages were destroyed, that more than 15,000 people died and we had seen on TV the big reconstruction work. 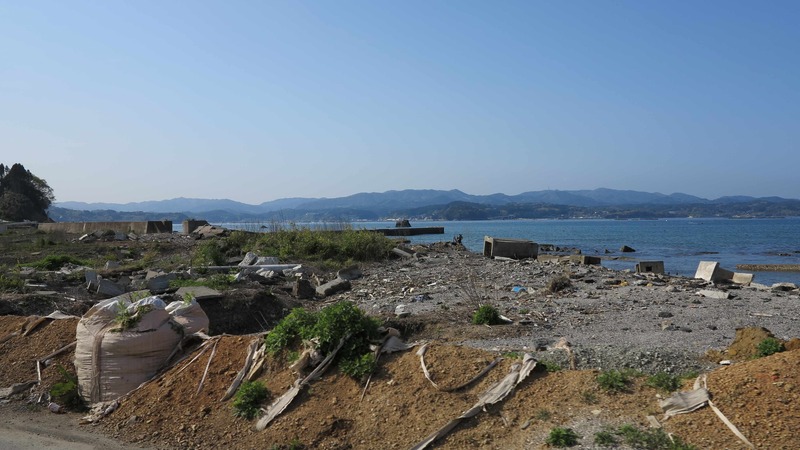 We also knew that an area around the Fukushima nuclear plant was still closed. But honestly, we had not expected to drive for hundreds and hundreds of km through devastated coastal areas where villages had been erased from the face of the earth, roads and bridges were still destroyed, train lines broken, half collapsed buildings still standing as monuments of the disaster and tsunami “trash” still lying scattered everywhere. An enormous effort was going on to clean up and build up again but the magnitude of the disaster had been so great, that even a hardworking and extremely disciplined society like the Japanese still struggles to get over it. It was shocking. We were filled with strong feelings of sadness for the people who died and the people who still can’t return home, a strange fear of sudden disasters, which so obviously can destroy everything in a matter of seconds, and we were feeling awe over the incredible forces of nature that could tear down concrete bridges and bend heavy steel pillars like it was rubber. And we saw all of this 2 years after the disaster….just imagine how it looked the day after…. When we got to the farthest northern tip of the Honshu Island there were finally no more signs of the tsunami. It was a relief. 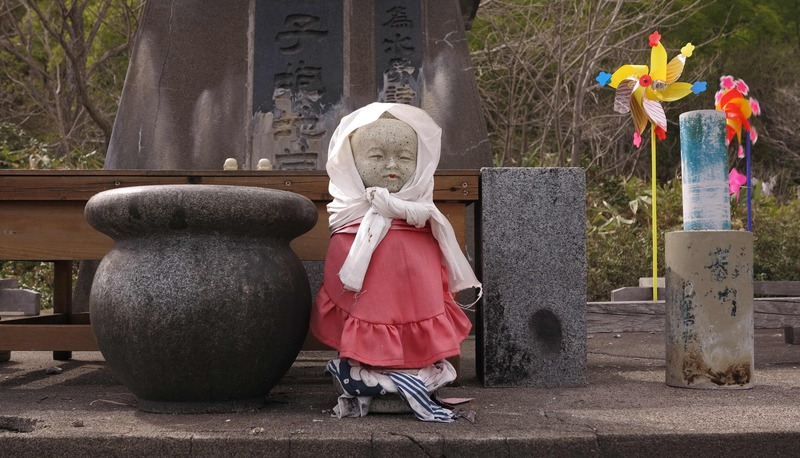 We drove up north through the peninsular of Shimokita Hanto, through small and rather uninteresting villages, because we wanted to arrive to the magic mountain of Osore-zan. And it was worth the long drive! Osore-zan is an extinct volcano with a large crater where lots of sulfuric gasses are hissing out of holes in the ground or bubbling up through yellow/green pools. The whole crater stinks! Since ancient time, the Japanese people have believed that here the dead souls gather before crossing the mythical Sanzu River on their way to the buddhist paradise. The mountain has therefore always been a site for pilgrimage. And in the 9th century, a Japanese monk built a Buddhist temple on the shore of the bleak crater lake. It is a strange and very interesting place to visit. Check out the photos as they probably say more than all our words! After visiting the Osore-zan, we drove down the northern flank of the mountain were there are natural hot springs surrounded by dense forest. We went running along the old train tracks along the river and then soaked our muscles in outdoor hot water pools with a view over the river and the forest. What a beautiful life! From Osore-zan we had seen the misty outline of the Hokkaido Island up north and that night, over a couple of glasses of home made umeshu/plum wine, we agreed that the north was much better than we had expected and that it would be a shame not to go to Hokkaido! When Frida arrived to Japan we were very happy to see that everything (the car, the tent, the roof box) had survived the long journey without a scratch. It was no problem to get the car through customs, everything was done in a couple of hours and we could get behind the wheel and let Frida run loose on the Japanese roads. For more info on the shipment and the import of the car in Japan, please check our section on Shipments and Borders, Customs & Scams. Our first mountaineering target in Japan was to climb Mount Fuji, the highest peak in Japan at 3,776 m. Fuji-san is a classical and very beautiful strato-volcano located about 100 km southwest of Tokyo. It rises almost 2000 meters above the surrounding landscape and can be seen all the way from Tokyo on a clear day. With its perfect cone shape, Mount Fuji is the star of every picture or postcard you can find around Japan. It is the holy mountain, the one that every Japanese would like to climb once in his life. In summer, millions of people of different age are struggling on its flanks, sometime even using oxygen due to the altitude. So despite the risk of severe conditions on the mountain, we decided to climb Mount Fuji in early May in order not to be in a queue. With Frida we drove up till the trailhead, at around 2,000 meters altitude. At this time of the year the path is officially closed and we found big barriers in order to keep people from passing. Nevertheless, at 4 o’clock the next morning we woke up and after a quick breakfast we crossed the barriers and started our expedition. 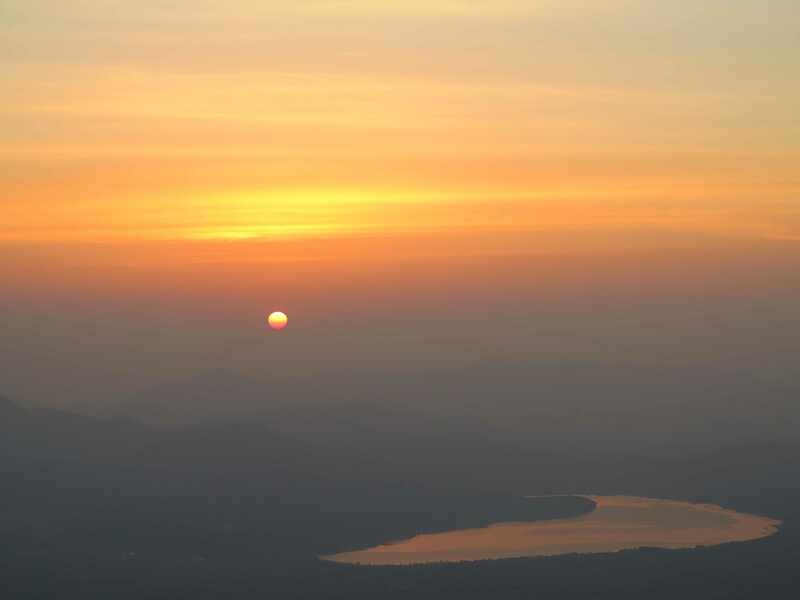 As soon as the sun rose at 5 am, we noticed two small points moving on the mountain. As we got closer we could see that one was a “kamoshika”, also called a Japanese serow, a kind of goat-antelope, which lives in dense hillside forests on the main Honshu Island. It was a very nice morning surprise. 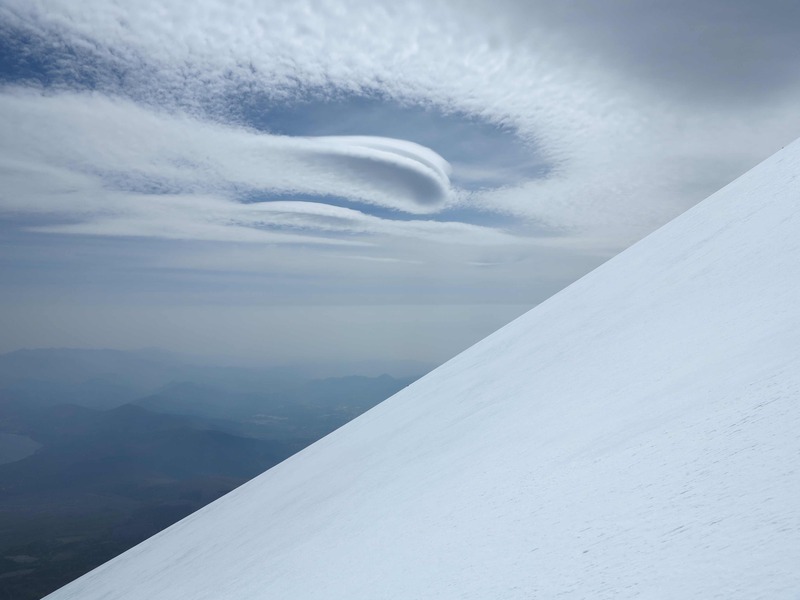 And the other was a person walking up the mountain in a nice snowfield, going up straight to the top. We decided not to take the official path but to follow the guy. The snow was very hard and the slope very steep. Close to the top the snow became hard ice, so hard that the crampons were hardly going into the terrain…the climb was getting critical. After 5 hours of hard work, almost exhausted, we reached the crater rim and we realized that the top was still far away on the other side of the large crater rim, around 1 km distance and 100 meters altitude up. We spent other 30 minutes walking and we reached the official top of Mount Fuji, at 3,760 meters, with a very nice sun and a fantastic view over the valleys below. Other two persons were running around on the crater rim and then…nobody! After some picture and a quick snack we decided to start our descent. The weather conditions were getting worse and the wind was picking up. The first 300 meters of our descent from the crater rim turned out to be very dangerous due to hard ice on the steep flank, created by the ice cold winds. We ice climbed down only supported by the extremity of our crampons and ice axes…not a very nice situation!!! Further down the ice became hard snow and then soft snow. We walked down some 3 hours and at around 2 pm we were back at the parking lot, happy but exhausted! We met other 5 people climbing up. Finally, all of them decided to come back before reaching the top due to the increasingly bad weather conditions. The Japanese are saying: “He who climbs Fuji-san once is a wise man, he who climbs it twice is a fool”. We will try not to be fools so! After 10 months of traveling and more than 50,000 km on the road, we left the Americas and landed in Japan. We jumped from the western world to the east, from the southern hemisphere to the north, from autumn to spring, from night to day and we felt a bit like Alice in Wonderland! The cultural difference from the noisy chaos of Latin America to the neat and ordered Japan is enormous. Many things in Japan are very similar to Europe. But when you experience the guys bowing to you as you drive out from the petrol station or you watch a lady actually vacuum cleaning the sidewalk outside a hotel, then you realize that you are indeed very far away from home! And as you walk down the side streets of Tokyo or enter the small villages in the interior, you see a different and more traditional Japan. The language is an insurmountable barrier! Often we cannot even see if the facade hides a restaurant, a small hotel or something else. But with sign language, a lot of smiles and a lot of bows and arigato we usually manage to find our way through any situation. And we share the passion for food! We enjoy everything with curiosity and wonder even though the flavours and the textures may be very strange to us. Finally, the helpfulness and friendliness of the Japanese is a gift to the traveller and so you can jump into the unknown without fear and be sure that some Japanese will help you out! Marco stepping over one of the fine lines for proper behaviour……! The first month in Japan we were without Frida (our car) but we were not without a home as the Tocco-Watanabe family provided us with a base in Yokohama. It will take the rest of our lives to pay back Yuko and Claudio for their hospitality! From our home in Yokohama we travelled around the central part of Japan, we spent a lot of money shopping in Tokyo (amazing what you can buy!) and we organized visas to Russia, the ferry to Russia, the translation of our driving licenses to Japanese, the car insurance for Japan etc etc all with the exceptional help of Yuko! Together with our friends we had some fantastic ryokan experiences with excellent food and lots of Japanese tradition. It has been amazing! Make a day trip from Tokyo to Kamakura to see the zen buddhist temples and gardens. 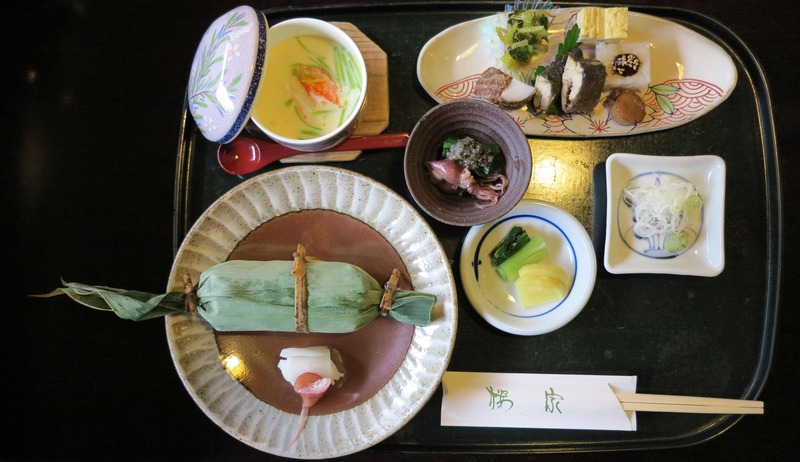 Visit the samurai castle in Matsumoto and have a local eel speciality for lunch. Visit the beautiful wasabi fields in Hotaka, just north of Matsumoto, and have a wasabi ice cream. Drive down the Kisa Valley and visit the traditional edo-era towns of Narai, Magome and Tsumago. It is nice also to make the hike from Magome to Tsumago. Visit the traditional mountain villages of Ogimachi and Ainokura with their special thatched roof houses called gassho-zukuri. 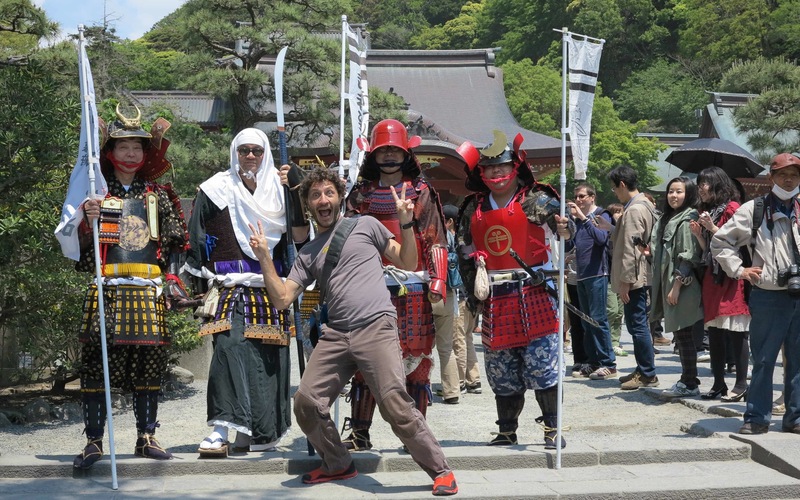 Wander the small streets of the tea-house districts in Kanazawa and visit the ninja-house! Enjoy the fresh sea food in Kanazawa. Climb Mt Fuji! Or at least visit the 5th station and then go to see the Fuji Sengen Jinja shrine in nearby Fujiyoshida. Eat with passion! Sample all the local specialities and let your taste buds be both pleased and shocked.